Pass on the order, and stop! What's this, Lucilius, is Cassius nearby? He's close by. Pindarus has come to salute you on behalf of this master. Cassius greets me well. [To Pindarus] Your master, Pindarus, through either his own orders, or incompetence officers, has given me good reason to wish certain actions had not taken place. But if he's nearby, I'll get an explanation from him. I don't doubt that my noble master will prove to be what he is, an admirable and honorable man. I don't doubt him. Lucilius, if I could have a word. [Aside to Lucilius] Tell me how Cassius treated you. I must have no doubts about his attitude. He treated me with courtesy and respect enough, but he wasn't as familiar with me, nor did he talk in the friendly, open manner that he used to. Such as he is — full of regard and honor. "like horses hot at hand"
You have described the cooling of what was a warm friendship. Lucilius, you will always notice that when love starts to decay it resorts to forced niceties. Simple, faithful men use no tricks. But insincere men are like war horses which seem eager at the outset, making a gallant show of their character; but when they most need to respond to the spur at the heat of the battle, they become crestfallen and prove not worthier than a worn-out, broken-down horse, and fail to perform. Is his army approaching? They're planning on camping in Sardis tonight. Most of his soldiers, and all of his cavalry are with him. Slowly march on to meet him. Halt! Pass on the command. Though they call each other “brother,” they're actually brothers-in-law, as Cassius is married to Brutus' sister. Noble brother-in-law, you have done me wrong. May the gods judge me! Do I even harm my enemies? If not, how could I possibly wrong my brother? Cassius, calm down. Tell me your grievances quietly. I know you well. Let's not fight publicly in front of our two armies, who should see us as a united front. Tell your army to move away a little. Then in my tent you can explain your grievances and I will listen to you. Pindarus, tell the commanders to lead our soldiers a little further from this spot. Lucilius, you do the same, and don't let anyone come to my tent until we've finished our discussions. Have Lucius and Titinius guard the door. You've wronged me in this way: you condemned and disgraced Lucius Pella for taking bribes from the Sardians. I pleaded for the man as I know him personally, but you brushed off my letters. You brought that on yourself by trying to defend his case. In times like these, it's not appropriate that every trivial offense rebuked. Let me tell you, Cassius, that you yourself have been harshly criticized for having a greedy hand, selling positions in your army for gold to undeserving people. Me having a greedy hand! You know it's only because you're Brutus that you can say this. Because otherwise, by the gods, these words would be your last. When you honor this corruption, Cassius, reprimand hides his head. Remember March, remember the 15th of March. Didn't great Julius die for the sake of justice? Who laid a hand on his body, who stabbed him, for any other reason than justice? What, shall one of us who killed the greatest man of this world for plundering Rome, shall we dirty our hands with shameful bribes and sell exalted positions for the trash as can be grasped in this way? I would rather be a dog and howl at the moon than that kind of Roman. For so much trash as may be graspèd thus? Brutus, don't taunt me. I won't put up with it. You're forgetting yourself hemming me in like this. I am a soldier, older and more experienced, more capable than you to make the necessary preparations for out upcoming battle. Don't provoke me any more, I'll do something I'll regret. Look out for yourself. Don't push me any further. Go to! You are not, Cassius. Urge me no more, I shall forget myself. Get out, you little man! Listen to me, I want to say something. Do I have to stand aside and accommodate your rash anger? Will I cower when you stare like a madman? Oh you gods, you gods! Do I have to endure all this? All this? Ay, more! Fret till your proud heart break. All this? Yes, and more! Get irritated until your proud heart breaks. Go show your slaves how angry you are and make them tremble in fear. Do I have to respond? Do I have to listen to this? Do I have to cringe because of your bad temper? By the gods, I won't let you vent your spleen on me. You’ll have to swallow that venom until it kills you, because from this day forward, I'll laughing at you whenever you get so spiteful. Going all the way back to the ancient Greeks, it was believed that the black bile secreted by the spleen was the cause of foul temper. This belief is still reflected in the modern expression, "to vent your spleen on someone." Brutus is not going to let Cassius vent his spleen on him; whenever Cassius is in a bad mood, Brutus is just going to laugh it off. You say you're a better soldier. Prove it. Make your boasting true and I'll be pleased. As for me, I'm always happy to learn from a more noble man. You insult me in every way. You insult me, Brutus! I said that I'm a more experienced soldier, not a better one. Did I say "better"? I don't care if you did or not. When Caesar was alive he never would have dared to provoke me like this! You wrong me every way; you wrong me, Brutus. When Caesar lived he durst not thus have moved me. Peace, peace, you durst not so have tempted him. Oh be quiet, you would never dared tempt him so. I wouldn't have dared, huh? What, you think I wouldn't have dared? Don't presume I won't hurt you because of my love. I might do something I'll regret. What, durst not tempt him? You've already done things you should regret. Your threats don't terrify me, Cassius. My integrity is like armor against them, and they pass by me like a lazy breeze that I don't notice at all. I asked you for a certain sum of money, which you denied me, for I will not raise any money by dishonest means. By heaven, I would rather sell my heart, give my blood for money, than take from the hands of hardworking peasants their paltry savings by coercion. I asked you for gold to pay my soldiers, which you denied me. Was that something Cassius should do? Would I have done the same to you? Gods, when I become so greedy, be ready to strike me down with all your thunderbolts and tear me to pieces! Which you denied me. Was that done like Cassius? "I did send to you for gold"
Brutus, an idealist of questionable judgment, misses the irony of his criticizing Cassius for extorting money, and then reprimanding Cassius for not giving him some of that money when he asked for it. That brought my answer back. Brutus hath rived my heart. I didn't deny you money. I did not. The person who brought you my reply was an idiot. Brutus, you broke my heart. Friends should endure each other's faults, but you exaggerate mine beyond what they are. I didn't do that before your started attacking me with them. I don't like your faults. A true friend wouldn't see those kinds of faults. A flatterer wouldn't see them even if they were as huge as Mount Olympus. Mount Olympus was home to the ancient Greek gods. In this allusion, Brutus suggests that Cassius' faults are as huge as Mount Olympus is high. Come get me, Antony and young Octavius! Take revenge on me alone, for I'm tired of the world, and I have have been hated by someone I love; challenged to a fight by my brother; chastised like a lowly servant; all my faults noted, recorded, memorized, and thrown back in my face. Oh, I could cry my soul away. Here's my dagger and here's my bare chest; inside, a heart more valuable than the gods' mines, richer than gold itself. If you're a true Roman, cut it out of me. I, who denied you money, give you my heart. Stab me like you stabbed Caesar, for I know that even when you hated him most, you loved him more than you ever loved me. Dearer than Plutus' mine, richer than gold. Shakespeare, like many writers, is combining the attributes of Pluto (also known as Hades), god of the underworld and therefore of mines; and Plutus, the god of wealth. I, that denied thee gold, will give my heart. Than ever thou lov'dst Cassius. Do what you will, dishonor shall be humor. "as the flint bears fire"
Brutus metaphorically compares himself to a lamb, and then uses a simile to compare a lamb’s mildness to a flint bearing fire. He can only get angry for a brief moment—like a flint which gives off a hot spark when struck, but then immediately returns to the cold temperature it was before. Put your dagger away. Be angry whenever you wish, it won't bother me. Act as you want; I won't object even if I think it's dishonorable. Oh, Cassius, you're working with a lamb. When I'm pressured, I get angry for moment, then I cool back down—just like flint gives off a brief spark when struck, but then immediately is cold again. Has my life come to this—you just laugh at me with disdain when my objectionable actions and foul mood irritate you? When I said that, I also was in a foul mood. When grief and blood ill-tempered vexeth him? You will confess to that? Give me your hand. Don't you love me enough to put up with me when that quick temper I inherited from my mother makes me forget myself? Yes, Cassius, I do. From now on, when you're being too blunt with me, I'll tell myself it's your mother criticizing me, and I'll ignore it. [Off stage] Let me go in to see the generals! There's some quarrel going on between them, it's not good that they should be alone. [Off stage] You can't go in. [Off stage] Only death will keep me out! For shame, you generals! What are you trying to do? For you can trust a dear old man like me"
Ha, ha! How terribly this Cynic rhymes! Get out, you insolent fellow, get out! Have patience with him Brutus, this is his manner, being a Cynic. I'll accept his manner when he respects his time and place! In a time of war, what are we supposed to do with these frivolous fools. Hey friend, get out! Bear with him, Brutus, 'tis his fashion. I'll know his humor when he knows his time. Prepare to lodge their companies tonight. Lucilius and Titinius, tell the commanders to have their armies prepare to camp here tonight. Then follow us, and bring Messala with you right away. Lucius, bring a bowl of wine! I didn't think you could be so angry. Oh Cassius, I've been sick with grief. Brutus has claimed to have adopted the Stoic approach to life. One of the central principles of Stoicism is that you must not let yourself be emotionally affected by the misfortunes of life, whether they be by chance or predestined by Fate. You aren't making very good use of your Stoic philosophy if you'll let accidental misfortunes upset you. No man endures sorrow better than I do. Portia's dead. How did you not kill me when I was angered you so? Oh what an unendurable and tragic loss! How did she die? How scaped I killing when I crossed you so? She was so impatient with my absence, and upset that young Octavius and Mark Antony have raised strong armies—news of her death arrived along with that information—that these things made her lose her mind, and when her servants were out, she swallowed burning coals. Fill, Lucius, till the wine o'erswell the cup. Don't talk about her anymore. Give me a bowl of wine. In drinking to your health, I put our quarrel behind us, Cassius. I have a great thirst for such a toast! Fill it up, Lucius, until the wine spills over the top. I can't drink too much of Brutus' love. Welcome, good Messala. Now let's gather closely around this candle and take stock of the supplies we need. [Aside] Portia, are you really gone? Come in, Titinius. Welcome, good Messala. [Aside] Portia, art thou gone? [Aside to Cassius] No more, I pray you. [Aside to Cassius] No more, I beg you. 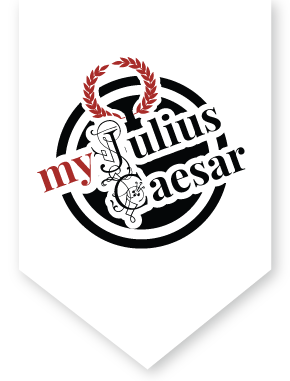 [Aloud] Messala, I've received these letters indicating that young Octavius and Mark Antony are approaching with a mighty army and are headed towards Philippi. I've received letters with a similar tone. That Octavius, Antony, and Lepidus, having condemned them with charges of serious crimes, have had a hundred senators put to death. Now, that’s where our letters give different accounts. Mine informed me of only seventy senators being killed executed on their orders, among them Cicero. Cicero was one of them? Cicero is dead, by their condemnation of him. Did get your letters from your wife, my lord? And nothing in the other letters about her? Why do you ask? Did you hear anything about her? Now, on your Roman honor, tell me the truth. Then as a noble Roman you must endure the truth. She is dead, and she died in a bizarre manner. Why, farewell, Portia. We must die, Messala. Brutus says that we all must die. He knows Portia would have to die sometime, and knowing this gives him the strength, as a Stoic, to endure her loss without undue negative emotion. Messala is impressed with Brutus' seemingly incredible calm acceptance of his wife's death, but we know from Brutus' prior conversation that he has known of her death for some time. Well, farewell Portia. We all must die, Messala. Knowing that she will die one day gives me the strength to endure her death now. This is just the way a great men should endure great losses. I have as much capacity to rationalize death as you do, Brutus; but even so I know my heart couldn't endure it like that. Well, let's focus on the work affecting the living. What do you think about marching to Philippi right away? Cassius uses the word "offense" in the sense of harm, or injury, so that he can oppose it with its opposite sounding word, defense. This reason: it's better for the enemy to seek us out and waste their resources, tire out their soldiers, weakening themselves. Meanwhile we will be well-rested, with well-prepared defenses, and able to respond quickly. Those are good reasons, but even good reasons must give way to better ones. The population between here and Philippi, we coerced to support us, and they grudgingly provided goods and money. They are not loyal to us except by force, for they resent the tribute we make them pay us. The enemy marching through their territory can recruit them, coming on toward us in larger number of newly added, fresh, and motivated soldiers. We can cut them off from this potential advantage by confronting them at Philippi, keeping these people behind us. For they have grudged us contribution. Listen to me, good brother. If I may—you must also take into account that we have asked all we can of our allies, that our armies are full to the brim with soldiers, and that our justification for war is timely. The enemy is growing larger every day, while we're at our peak and are ready to decline. There's a natural ebb and flow in the affairs of history and acting at the high tide, so to speak, will lead to success. Failing to act at the right time will lead us to misery like a boat stranded at low tide. We're at the high tide now, and we have to seize this opportune moment like a helpful current, or we will fail in our endeavor altogether. Then, with your will, go on. Well if you're totally decided, go ahead. We'll follow you and meet the enemy at Philippi. Night crept up on us while we were talking, and nature demands that we give in to our need for sleep. We'll be stingy to nature by taking just a short rest. There's nothing more to say. Say no more. Goodnight. We'll get up early tomorrow and march on. Niggard is an old Scandinavian word describing someone who is stingy with money. It’s fallen out of use in modern times, and that might be because it sounds similar to a racial slur. In these lines, Brutus means that they will be stingy to nature’s call for sleep by only taking a brief rest. Early tomorrow will we rise, and hence. Farewell, good Messala. Goodnight, Titinius. Noble, noble Cassius, goodnight, and sleep well. Oh my dear brother! This night began so badly. Let there never be such a division between us again. Don't let it happen, Brutus. This was an ill beginning of the night. Hand me my robe. Where's your instrument? Poor knave, I blame thee not, thou art o'erwatched. Call Claudius and some other of my men. What, you sound sleepy? Poor boy, I don't blame you, you've been keeping watch too long. Call Claudius and some of the other men from my army. I'll have them sleep on cushions in my tent. Please, sirs, lie down in my tent and sleep. I may wake you up in a short while with some message for my brother Cassius. If it please you, my lord, we'll stand watch awake. No, I insist. Lie down and sleep, good sirs. I may change my mind and not need you to deliver any message. Look, Lucius, here's the book I was looking for. I had put it in the pocket of my robe. I was sure you hadn't given it to me. Bear with me, good boy, I have been very forgetful. Can you hold your eyes open a little longer and play a tune or two on your instrument? Yes, if you wish, my lord. I do, my boy. I bother you too much, but you're very willing. I shouldn't give you duties you can't carry out. I know young people need sleep. I've already slept, my lord. Good job, and you'll be able to go back to sleep. I won't keep you up long. As long as I live, I'll treat you fairly. I should not urge thy duty past thy might. This is a sleepy tune. O murd'rous slumber! That plays thee music? Gentle knave, good night. That's a sleepy song. Oh sleep, you murderer! Have you hit my boy over the head when he played one of your songs? Gentle boy, goodnight. I won't be so mean as to wake you up. If you're nodding off like that, you might drop your instrument. I'll take it out of your hands; and goodnight, good boy. Let me see, let me see—didn't I fold the corner of the page where I left off reading? Here it is, I think. What a bad candle this is! Ha! Who's that? It must be the weakness of my eyes making me see strange visions. It's coming towards me. Are you a real? Are you some god, angel, or some devil that's making my blood run cold and my hair stand on end? Tell me what you are. "How ill this taper burns"
It was believed that the light from lamps dimmed or turned blue in the presence of a ghost. That mak'st my blood cold and my hair to stare? I am your own evil spirit, Brutus. To tell you that I'll see you at Philippi. Well then, so I'll see you again. Well, I'll see you at Philippi, then. Now that I've gathered my wits about me, you've vanished. Evil spirit, I wish I could have spoken more with you. Boy! Lucius! Varro! Claudius! Sirs, awake! Claudius! Now I have taken heart, thou vanishest. Brutus realizes that the appearance of Caesar's ghost may very well indicate that the gods are not pleased with his role in Caesar's death, but his nonchalant response is consistent with a Stoic's calm acceptance of whatever the gods have in store for him. But Brutus' remark after the ghost has departed indicates that he may have been more alarmed by the ghost than a good Stoic should have been. Boy! Lucius! Varro! Claudius! Sirs, awake! My lord, the instrument's out of tune. He thinks he's still playing his instrument. Lucius, wake up! Did you cry out like that because you were having a dream, Lucius? My lord, I didn't know that I said anything. Yes, that you did. Did you see anything? Yes, that thou didst. Didst thou see anything? [To Varro] Fellow, thou, awake! Go back to sleep, Lucius. Hey, Claudius! Why did you two cry out in your sleep? Yes. did you see anything? No, my lord, I didn't see anything. Ay. Saw you any thing? Nor did I, my lord. Go greet Cassius for me. Tell him to get his army marching immediately, and we will follow him. We'll do this, my lord. Go and commend me to my brother Cassius.